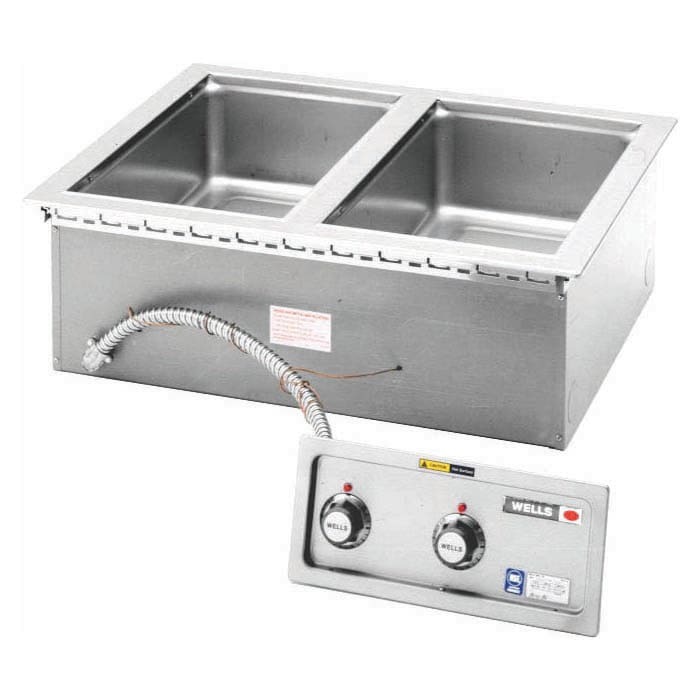 The Wells MOD-200TDM/AF drop-in food warmer is insulated on the bottom, front, back, and sides so preheating and heat recovery are fast. High-temperature limits keep the warmer from overheating. Deep-drawn stainless steel warming pans are durable and help keep heat inside the wells. The warming pans each have a tubular heating element under them so heat is evenly distributed, and hot or cold spots are eliminated. Each well has its own thermostatic controls so different types of foods can be heated simultaneously at their own safe temperature. 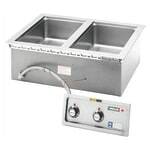 This warmer accepts four 1⁄3-size pans per well or the equivalent fractional pans. The Wells MOD-200TDM/AF drop-in food warmer can be used for wet or dry operations, but wet applications give the best results.